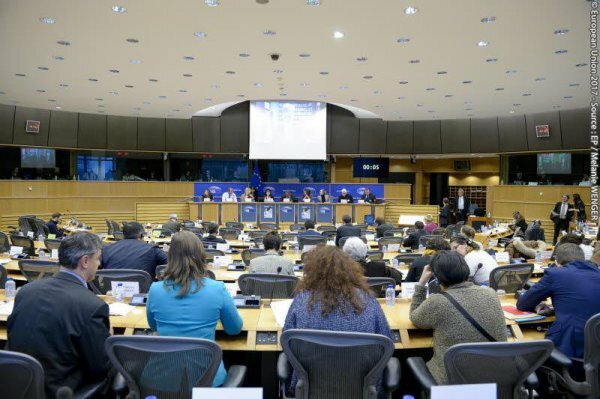 On Wednesday 11 and Thursday 12 July 2018, the European Parliament’s Subcommittee on Human Rights (DROI) met to discuss the draft of the Annual Report on Human Rights and Democracy in the World and the European Union’s Policy on the Matter for 2017. The Unrepresented Nations and Peoples Organization (UNPO) welcomes DROI’s focus on issues of protecting human rights defenders and preventing human trafficking and slavery. It also applauds the recognition of the struggles of Crimean Tatars and West Papuans among others. Regrettably, UNPO finds the report insufficiently explicit in its criticism of human rights violations against many other indigenous communities and ethnic minorities, despite their vulnerability to such abuses. The report also criticised the charges levelled against West Papuan activists Hosea Yeimo and Ismael Alua, two students arrested in December 2016 for “rebellion” during an event organized by peaceful Papuan pro-independence umbrella group, the United Liberation Movement for West Papua (ULMWP). As members of the KNPB (the West Papuan National Committee), they were released on bail in January 2017 and await trial. UNPO joins the EU in calling for the charges against them to be dropped as they were peacefully exercising right to freedom of expression. In Ethiopia, the EU had called for the release and dismissal of all charges against all political prisoners including Dr Merera Gudina, Chairman of the Ethiopian Oromo Federalist Congress opposition party. Arrested in November 2016 after a visit to the EU parliament in Brussels, he was only released in January 2018 by the new regime. While UNPO is glad to see the steps the new Ethiopian government is taking towards a fairer and more democratic nation, it urges the EU to remain cautious in its praises and strong in its commitment to human rights in the region. In other respects however UNPO was disappointed by the report’s contents. The case of Laos, for example, made no mention of the Laotian regime’s military campaign against the Hmong ethnic minority, which throughout 2017 saw use of heavy artillery, shelling and mustard gas against Hmong groups hiding in the jungle. When discussing Vietnam, no space was given to the Khmer Krom, who suffer repeated human rights abuses by the Vietnamese government. In 2017, this included being prevented from protesting peacefully and practicing their religion as well as more generalised discrimination. Similarly, although Pakistan has been accused of human rights violations against the Sindh ethnic minority and populations of Balochistan and Gilgit-Baltistan, none of these were included in the report. The oversight is particularly surprising since human rights defenders in the regions are subject to threats, violence and enforced disappearances. UNPO hopes that DROI’s focus on the protection of human rights defenders will encompass the peaceful activists of these territories. Despite condemning human trafficking in all its forms, the report did not acknowledge the plight of the Haratin in Mauritania, as well as the greater vulnerability of ethnic minorities and indigenous peoples to this issue. Lastly, UNPO is surprised the report made no mention of Iran and its numerous human rights violations, which range from executions and public punishments to wilful environmental destruction of regions inhabited by minorities such as the Ahwazi, whose protests are met with violence and arrests. Considering how in April 2018 the EU extended its sanctions against Iran for its human rights abuses, it is hard not to see the omission as intentional – much like the report’s criticism of small nations like Bahrain and Kuwait but not larger, more powerful countries such as Turkey. The DROI’s discussion of the report also failed to address these topics. However UNPO is encouraged by the decision to transition to a more analytical and less descriptive report, which will enable the EU to assess the effectiveness of its strategies in promoting human rights in the world. The draft Annual Report on Human Rights and Democracy in the World and the European Union’s Policy on the Matter is available here.